This was more than a monstrous act of hatred. These attacks were designed to shake the very foundations of all our societies. They are an assault on our shared humanity, and our tolerance, liberty and respect -- the values that underpin the world our movement was built to create. 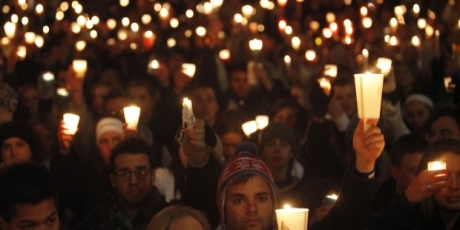 It is at this time of darkness that our community’s weave of love can be most powerful. Let’s join hands today to embrace our brothers and sisters in France, Lebanon and across the world that are mourning, and show that our movement stands tall against this hate and commits to continue raising our voice for everything we love. Let’s be a community that projects a beacon of light and proves that fear and division won’t win out. Post a message of solidarity and love on the right -- Avaaz staff in Paris and Beirut will transcribe them and deliver them to public locations across both cities to say ‘Nous Sommes Unis’, ‘We are One’.